Sat, Nov 22…The team checks into RDU Airport at 11:00; pray for the Lord’s grace thru airport personnel in checking the quantity/weight of suitcases. Fly Raleigh-Durham, Washington DC, Rome; pray for travel safety on the airplane and that no luggage is delayed/lost. Pray for the home churches and families being left behind, for God’s protection of them emotionally, physically and spiritually. Sun, Nov 23…arrive in Addis Ababa at 7:30pm on. Pray for the Lord’s grace thru Ethiopian Customs. Settle into Addis Kidan Guesthouse after about 30 hours of travel; pray for a good night’s sleep. Mon, Nov 24…the team splits up in Addis…some visit the Prime Minister, some tour the National Museum and Trinity Orthodox church, Jon speaks at ETC Chapel, we run errands and we try to rest a bit before going down-country; pray for the Lord to make our paths straight in errands, for cultural adjustment, for physical rest, for Mary’s talk with Hanna, for witness with Prime Minister, etc. Tues, Nov 25…about 5:30am we depart on Demissie’s bus, headed for Soyama, Burji; we expect to arrive in the evening after a long day of travel; pray for safety on the road and for Demissie as he drives dodging people, animals, donkey carts, etc. ; pray for the bus to work well. Wed, Nov 26…our first day in Soyama; assorted activities include meeting with local government leaders, reviewing solar platforms, training Burji Youth Corp, sorting ministry supplies, visiting Soyama schools, meeting translators, etc. 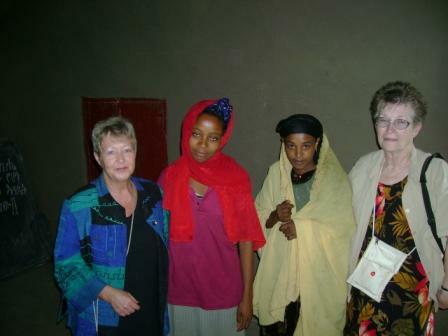 ; pray for a good connection with our Ethiopian ministry counterparts. This trip’s ministry is multi-faceted and complicated; pray against the Evil One causing confusion in the midst of cultural differences, ministry understandings and language barriers. Pray especially for the church leaders as they coordinate their aspects of the work. Pray for good mentoring of the Burji Youth Corp in spiritual matters. Pray to adjustment to Ethiopian food. Thurs, Nov 27 thru Sun, Dec 7…this is the core of our ministry. We divide into 5 teams. Molly and BeckyLynn will work at the clinic; Jason and Dave will work with the Guji outreach; Jamie, Lynette, Leigh and BeckyLynn will work in the Village ministries; Jon, Cindi and Mary will work in Soyama Town; Ed and Matthew will set up the solar systems. 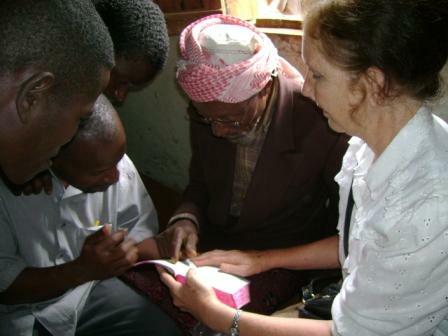 Our various ministries include evangelism, preaching, farming workshops, hygiene classes, Bible teaching, children’s training, Bible distribution, eyeglass distribution, home visitations and solar/loudspeaker setups. Please pray diligently for our spiritual lives during this time, for good working relationships with Ethiopians, for good communication, for physical strength and safety, and for the Lord’s will to be done in all things, for the glory of His Name. Pray for the moving of the Spirit amongst us and thru us. Pray that we will focus our energies to run the race well and finish the course set before us, no matter the difficulties or fatigue that come to us. Mon, Dec 8…we will spend this entire day traveling back to Addis on Demissie’s bus; pray again for travel safety and for bus operation. Tues, Dec 9…day of rest in Addis. We will have a last supper with our Ethiopian friends before going to the airport. The flight leaves at 10:15pm. Pray for safety and luggage. Wed, Dec 10…at 1:41pm the Team is due to touchdown at RDU Airport; continue praying for each one as they process the past weeks and allow the Spirit to have His full and complete work in their personal lives. Mon, Dec 8: Carolyn and Sudie depart RDU Airport, bound for Addis via Washington DC and Rome. Pray for travel safety, no lost luggage and Customs clearance. Tues, Dec 9: Shortly after setting the Burji Team off at Bole Airport, they arrive and settle at Guesthouse; pray for a good night’s sleep. 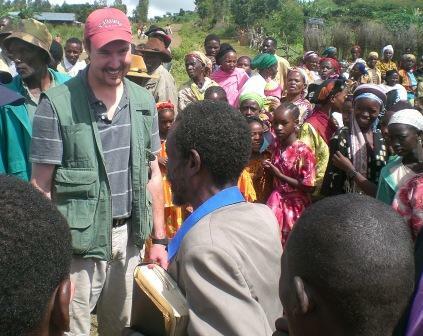 Wed, Dec 10: 6-hour trip to Alaba Town; settle in; pray for travel safety and reuniting with loved Ethiopians. 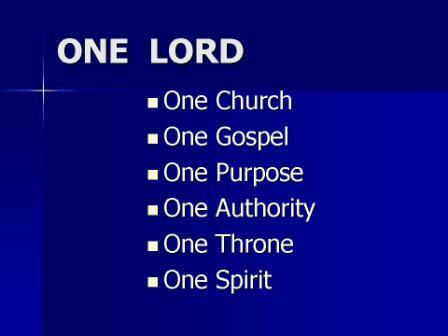 Thur, Dec 11-Wed, Dec 17: We will divide for our various ministries. 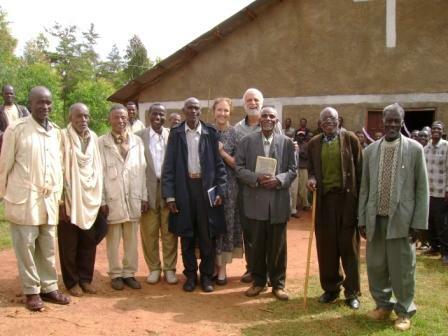 Carolyn will do English teaching sessions and a women’s Bible Conference. Dave will teach Bible in the prison, hold Evangelists Bible Conference, preach in churches, and teach a course on Acts to the Bible School students. Sudie and BeckyLynn will do village ministries, teaching women and children. Pray for the Spirit to have His way in His work, for good communications, for spiritual effectiveness, for health. 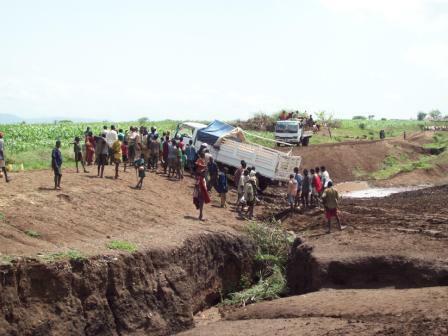 Thur, Dec 18: 6-hour trip back to Addis; pray for safety in travel. 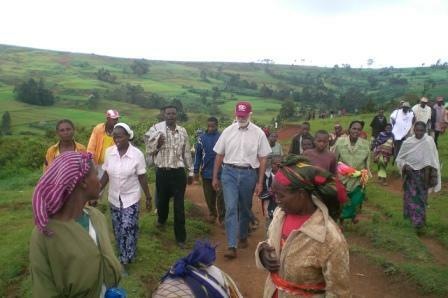 Fri, Dec 19: rest in Addis; depart in the evening for return trip to USA; pray for travel safety and luggage. Fri, Dec 19: We plan to meet with many people in Addis, including academic persons, “family”, Orthodox, etc. in planning future work; we also will rest up since we will have been going non-stop ministry for a full month by now. Pray for blessed meetings, for the sake of the Gospel and His Kingdom. Pray for physical health and a focus to finish the race well. Sat, Dec 20: fly to Gondar in the morning, and speak to social/natural-science University Students in the afternoon; meet with Bereket’s family; pray for spiritually-profitable times. 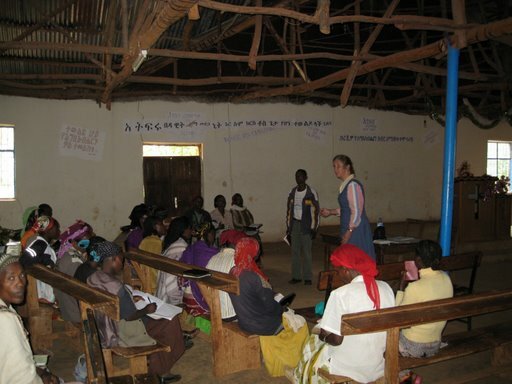 Sun, Dec 21: speak at All-Gondar annual combined church service; lunch meeting with leaders to discuss work in Gondar; pray for wisdom as we relate to these leaders and discuss important things, to know the mind of the Lord and to walk in His ways. Mon, Dec 22-Fri, Dec 26: Dave will have all-day training sessions for “our” evangelists, focused on the goal of Making Disciples in the Great Commission; BeckyLynn has many speaking appointments to women and college students regarding Christian womanhood; Dave will speak to medical University students; pray for us to be Spirit-filled, focused on finishing the race, understanding His way, good communications and physical strength. Sat, Dec 27-Mon, Dec 29: perhaps visit a village in North Gondar region, return to Addis, logistic things in Addis; pray for wisdom to know His plan for these days. 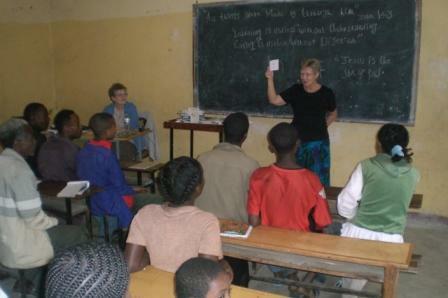 Tues, Dec 30: depart Addis in the evening; pray for travel safety and coping with fatigue. Wed, Dec 31: arrive back at the Farm in the evening, bone tired but rejoicing at the faithfulness of our God in supplying all that is needed for His work. Thank you for your part in the success of this work! God bless you for your work’s sake! Note: This itinerary covers the activities in Ethiopia. Please do not forget to pray also for those who are holding the ropes back in the USA…families are especially vulnerable during our absence; please stand guard over them with your prayers, that they too will walk in the Spirit and see the glory of God, no matter what occurs in our absence.